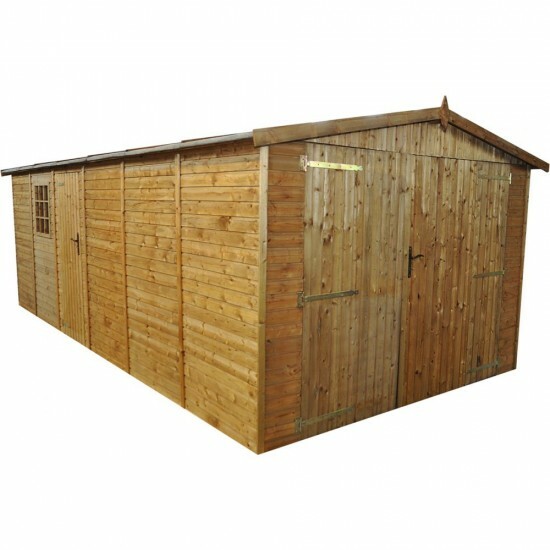 Garage panels are made of 19mm T & G cladding. Front double doors, side door, one window. Window is glazed with the styrene safety glass as a standard. Roof: tongue and groove cladding and felt. 15 working days after receiving cleared payment. via PayPal,credit/debit card, Personal cheque, cash on delivery. If you have some questions regarding product description, delivery terms and conditions, please do not hesitate to contact us by : E-mai info@miratimber.co.uk Or by telephone. 07766477850.